It is with great excitement I present you with upcoming dates for “Dance of the Deities”, both nationally and internationally. After the huge success of the workshop series Dance of the Deities in Melbourne 2017, we are thrilled to announce an extraordinary amount of interest from studios around the world, and would love to share these dates with you. Drawing on my past as a Dance Choreographer, Yoga teacher and Philosophy Lecturer, the classes will merge 4 of my greatest passions – yoga, dance, mythology and storytelling. This series will consist of 2 x 2.5 hour classes, each class will be broken down into 4 sections (section info below). This series will consist of 3 x 2.5 hour classes, each class will be broken down into 4 sections (section info below). Krishna, the God of Ecstatic Joy, reveals the superpower of Love within us all. Each workshop is a 2.5 hour class which will be broken into 4 sections. The cost is $45 per person. Philosophy talk, storytelling and sharing Myth for a particular Deity. Asana Practice that reflects the Philosophy and Deities in Section 1. The Entire “Dance of the Deity” is practiced several times to embody. Cool down, relaxation and final integration in a relaxed state revisiting teachings, key points and take home lessons from the dance and myth/stories shared. The whole class will be infused with Divinely Inspired Music and Potent Ancient Mantras, set to Contemporary Tunes, integrating them into the Dance of Life . Come have some Fun, Play, Practice Yoga, Be Inspired, Uplifted, Dance from the Heart and Be Deeply touched to the Core of your Being. The whole class will be infused with Divinely Inspired Music and Potent Ancient Mantras, set to Contemporary Tunes, integrating them into the Dance of Life. PLEASE BRING A JOURNAL AND A PEN! Andrew Mournehis started his career as an Optometrist looking through the “Windows of the Soul”. His dream though was to be a dancer and after confronting a life threatening illness at 21yrs of age, by 24 he chose to give up everything, and fulfill his two greatest dreams which were to see the world and to Dance. Upon arriving in London, leaving his profession behind him, he forged a successful career, not only as a dancer but as a choreographer, and after 2 years through the Divine orchestration of the Universe, he was offered the once in a lifetime opportunity to Choreograph Tina’s Turners 1996 “Wildest Dreams” world tour. The backdrop for the stage was a huge “golden eye” … the symbology unmistakable. In 1997 though at the peak of his career his knee blew out, his visa ran out in London and he had to return to Australia , where he became extremely unwell and sought out a healing path. He turned to Yoga to heal his heart and his knee. He immediately fell in Love with the practice, studied vigilantly and in 1999 began teaching yoga to packed classes. He went on to study Transpersonal Counselling graduating from the Phoenix Institute of Australia in 2001 with a very clear vision that his gifts and passions were best directed in the power of group, mythology and the potent healing energy that is exchanged in each others stories, both personal and Universal. Being an already well respected and established yoga teacher, he spent the next decade combining his love of Yoga with his passion for healing Transpersonal work to create Transformative spaces for his students and participants to heal and become more whole. Coming from a diverse and eclectic Yoga background, Andrew teaches a combination of Hatha, Bhakti and Tantra Yoga. His Creative, Joyful and Heart-filled teaching strengthens the body, soothes and clears the mind, whilst enlivening and enriching the Spirit through both Postural and Universal Alignment. His unique teaching style is imbued with Heart and Soul, rich in Tantric Philosophy and his classes are filled with Inspiration, Storytelling, Mantra and the Spirit of the Divine. Andrew has spent almost 20 years facilitating many healing groups, workshops, intensives and retreats both nationally and internationally working with the healing potential of both Yoga, Movement and Transpersonal Modalities. 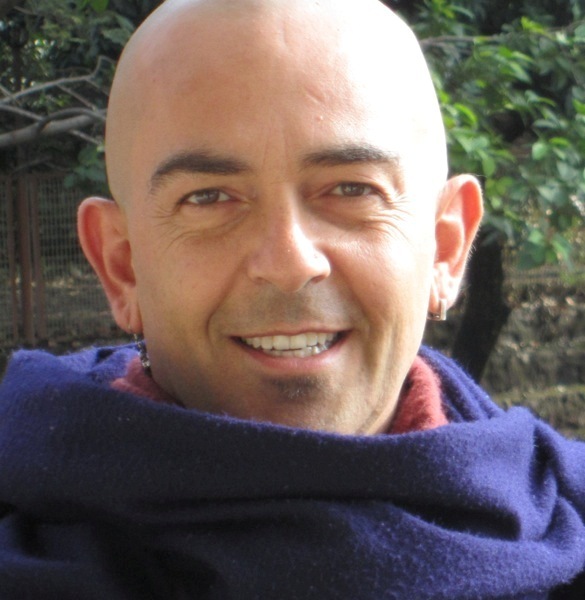 He brings to his work over 16 years of experience in Transpersonal Counselling and Art Therapy Techniques, 19 years of Yoga Teaching and over 25 Years experience in the Creative Arts Fields, as a dancer, choreographer and movement stylist. He is thrilled at this stage of his life and career to now combine his 4 great Loves… Storytelling, Mythology, Yoga and Dance into this Beautiful, Powerful, Moving and Divinely inspired movement practice called “Dance of the Deities”. It is with great excitement that I bring you the next installment of Dance of the Deities! 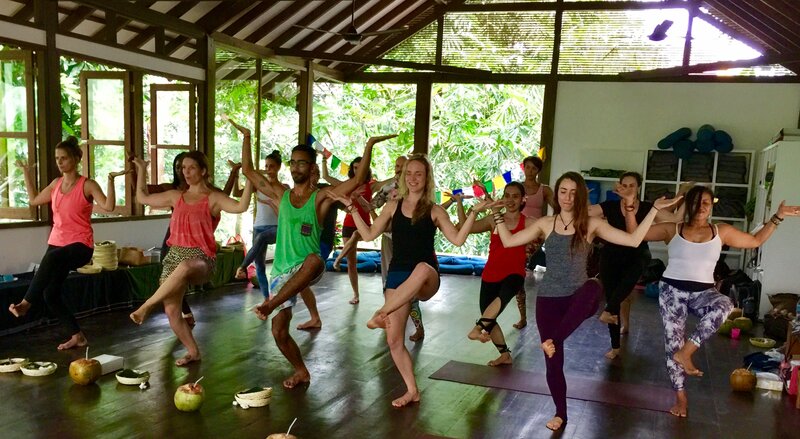 The classes will merge Yoga, Dance, Mythology and Storytelling – 4 of my greatest passions! The series will consist of 2 x 2.5 hour classes, and each class will be broken down into 4 sections. The workshop is a 2.5 hours class which will be broken into 4 sections. The cost is $45 per person. The whole class will be infused with Divinely Inspired Music and Potent Ancient Mantras, set to Contemporary Tunes, integrating them into the Dance of Life. Come have some Fun, Play, Practice Yoga, Be Inspired, Uplifted, Dance from the Heart and Be Deeply touched to the Core of your Being. The series will consist of 5 two hour classes at the beautiful Yoga Flame studio in Windsor, and each class will be broken down into 4 sections. Please note that there is a small processing fee through eventbrite.